You know sometimes you search and search for the perfect recipe, and then you try it, and it’s not perfect. So you tweak it, and change it, and tweak it some more? Yep. My friend Mary, over at Barefeet in the Kitchen, created these Almond Bars. I’ve just had the joy of eating them. Numerous times. And if you’re not following her blog, you better get over there now!! I love almond desserts. Some people run out of vanilla extract, I am always running out of almond extract. I like to put a splash in nearly all my baked goods. It takes them to the next level! For instance, this Swedish Almond Cake. I just made it again. It’s dense and delicious. Packed with almond flavor! Today’s Almond Bars recipe reminds me of that cake! Apparently our Scandinavian friends know how to make delicious almond flavored treats! Well if you’re not going to have a bake sale, then you eat them. You could also FREEZE THEM. Seriously. They come out of the freezer in perfect condition. Nothing a couple hours at room temperature can’t fix, and you instantly have a sweet treat ready to go! Hosting a holiday? Grab a bag out of your freezer the night before! Friends dropping over for coffee? 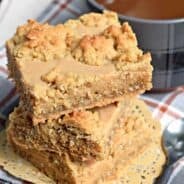 These bars are the perfect pairing to your steaming cup of joe! First, you’re going to need a sheet pan. 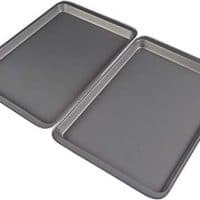 Or I think it’s called a “half size sheet pan”. I bought mine on Amazon, and I followed Mary’s advice to purchase TWO. Because doubling this recipe and making a crap-ton of almond bars is genius. They freeze beautifully! You can actually make the bars in a 9×13 as well, if you cut the recipe in half. But, more is ALWAYS better. Next, you’ll want to create the “dough”. Once you’ve done this, you’ll press it into the bottom of your pan. I used a butter to grease my pan (just rubbing it onto the pan until it’s coated). After your dough has been pressed into the pan, you’ll take a pastry brush and brush a small amount of milk over the top. Not only does it add a little extra moisture to the bars, but it helps the almonds stick! Bake. But do NOT let these brown. Mind took exactly 18 minutes in a 325 degree oven. These will have a soft shortbread texture. After they cool for about 5 minutes, cut them into bars. I found that if I cut them while they are warm, they looked and sliced better. Did you know that if you use a plastic (disposable) knife your baked goods cut cleaner. True fact. Finally, whisk your icing together. Add more or less milk for desired consistency and drizzle over the almond bars once they are cooled. It will only take about 10 minutes for the icing to set. You can now enjoy. 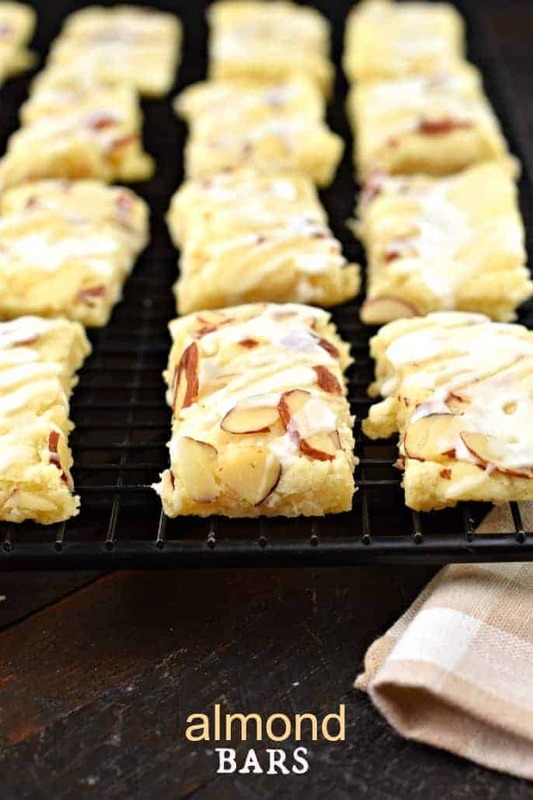 To store these almond bars, place in an airtight container at room temperature. OR, lay almond bars in single layer in a gallon sized ziploc freezer bag. Stack bags in freezer. Thaw at room temperature before serving! ENJOY. 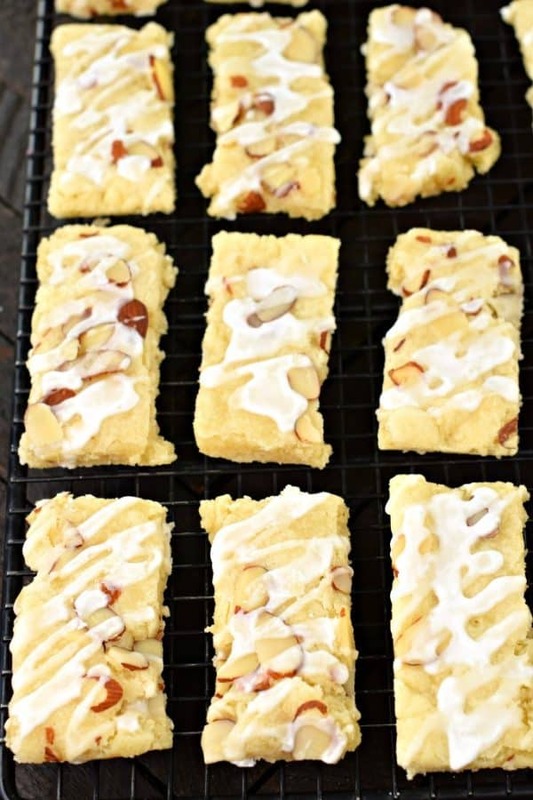 If you love today’s recipe for Almond Shortbread, these similar recipes might entice you! Strawberry Almond Bars have a crunchy almond crust, chewy strawberry filling, and a creamy cheesecake topping. Perfect for holidays or weekend brunches! Brown sugar and oatmeal cherry almond bars are officially my new favorite sweet snack! 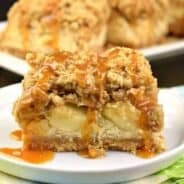 The cherries are nice and tart, the almond scented crumble dough is chewy and butterscotch-y ~ these are a must make! Cranberry almond bars have a dense, almost gooey-like cake base and are topped with a hefty amount of streusel! With gluten-free and 100% whole grain options. 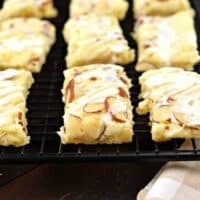 This Almond Bars recipe is a sweet treat that has a shortbread-like texture and a delicious almond glaze on top! You'll want to make extra and freeze them for later! Preheat oven to 325 degrees F. Generously butter (or use baking spray) on a half sheet pan (approximatedly 18"x13"). Set aside. 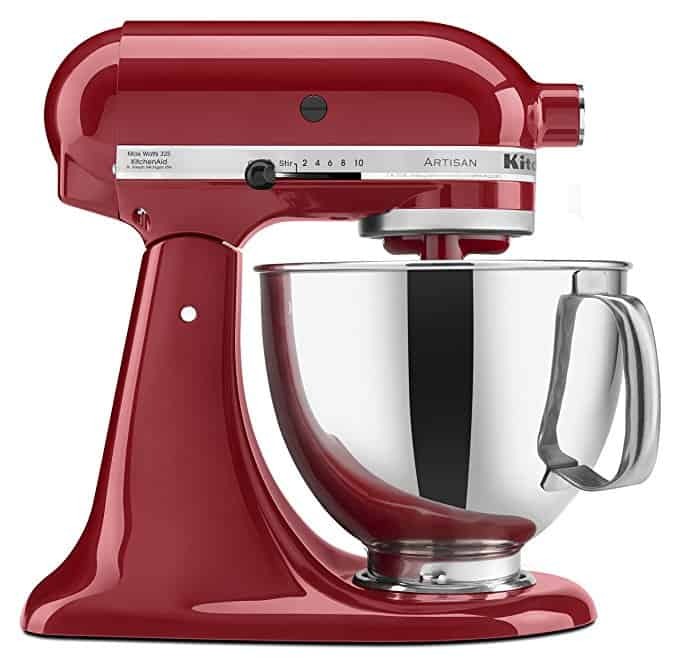 In a mixing bowl, beat butter and sugar until light and fluffy, about 3-4 minutes. Add in eggs and almond extract. Beat until combined. Slowly add in flour mixture. Mixing until well blended. Press this dough into the bottom of your prepared baking dish. Use your fingers or a pastry roller to smooth the top of the dough. Using a pastry brush, brush the milk to the top of the dough (you may not need to use all of it). Sprinkle with sliced almonds, pressing them lightly into the dough. Bake for 18-20 minutes until done. You don't want to brown these bars. Cool for about 5 minutes, then cut them with a knife into bars. If they are too soft to cut, allow to cool a little bit more. Carefully remove them to a wire rack to continue cooling. Once cooled, you can make your glaze by whisking the sugar with the almond extract and milk. Drizzle over the bars and allow to set. *To freeze these bars, prepare as directed and allow glaze to set completely. Then place them in a single layer in a large gallon sized ziploc. You can fit one dozen into the bag. If you want to add more, separate layers with wax paper (or parchment). Freeze. Thaw at room temperature before serving. *If you only want to make 18 bars, cut recipe in half. Baking time remains the same. These bars look scrumptious! They will go perfectly with a cup of coffee this afternoon! You’ve got to try them. So good! 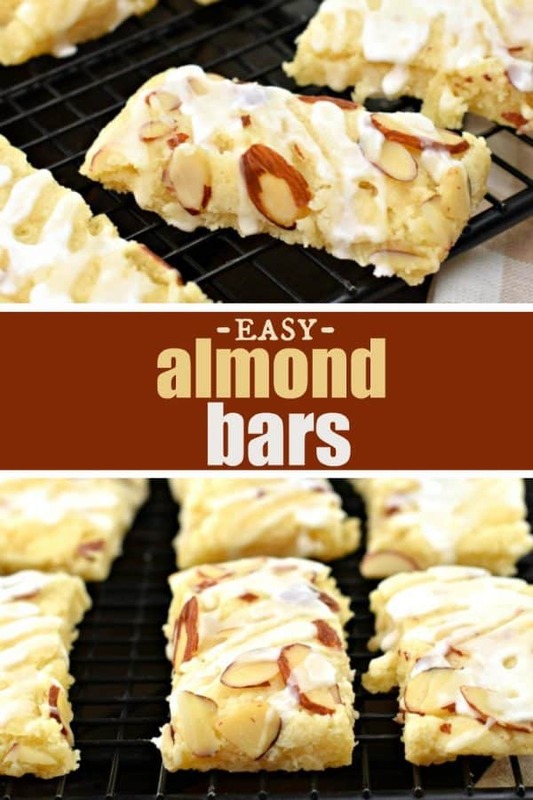 These just magically appeared in my Pinterest feed and it’s funny because I have been on an almond kick since I ran out of vanilla extract and had to sub (with massive success) almond in it’s place- sometime back at Christmas. I think it was some custard cake or something. 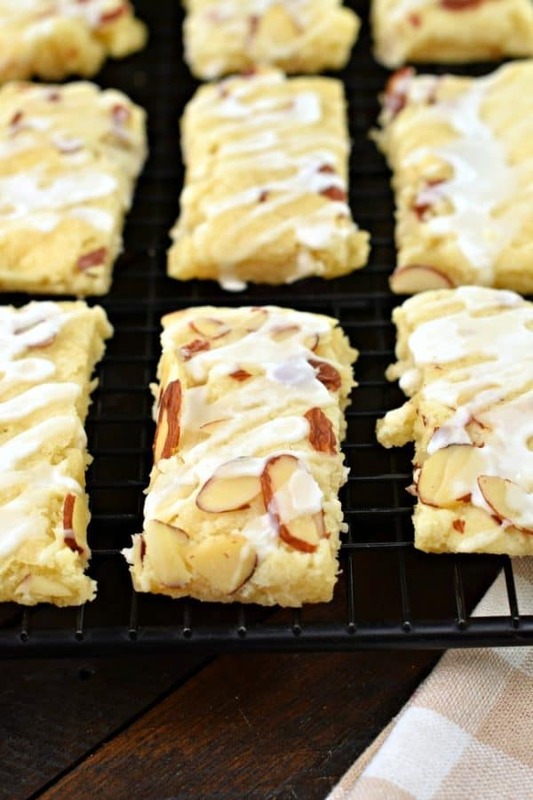 Anyhow- these almond bars sound absolutely divine! Aimee, I’m craving these now! I love all things almond and really love almond extract. I definitely am going to give these a try, made gluten-free for me. They look so yummy! Yes! 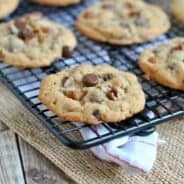 If you pop over to Mary’s website, she has gluten free alternatives!! My mouth started watering about halfway through this post, these look amazing!! These sound wonderful! However, I don’t have that size pan…..what could I use alternatively? Yummmm!! These bars look perfect! I never knew how much I love shortbread until I had it in London – and now I can’t get enough! I don’t even restrict myself to the holidays, I bake it all year long. This is one I HAVE to try! 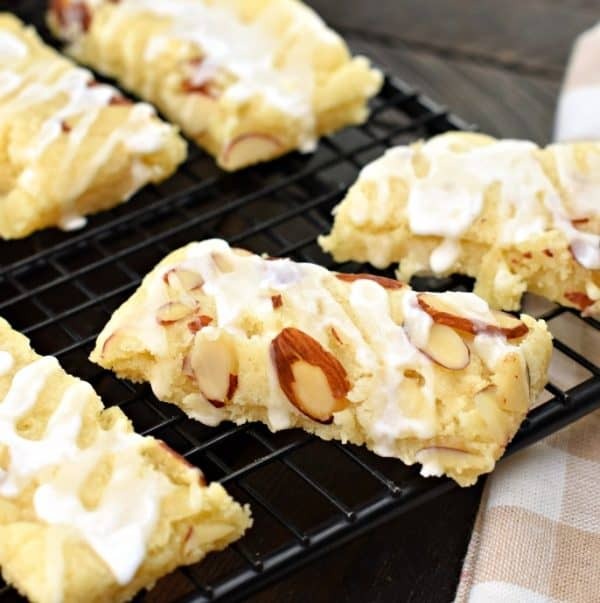 I am a huge fan of almond and these just sound like perfection! I have got to try these asap!! They look and sound incredibly delicious!! YUM!!! These Almond Bars were mind blowingly good! I’m addicted to any and all things almond. These bars loom heavenly and will satisfy my overwhelming sweet tooth! These are always a hit! A fun addition to my holiday baking trays.